A lawsuit filed by the city of Miami against Wells Fargo (NYSE:WFC) and Bank of America (NYSE:BAC) over discriminatory and predatory lending practices will be allowed to continue. The U.S. Supreme Court ruled that Miami can sue the banks over their lending practices under the Fair Housing Act. The Supreme Court ruling also affects a related case brought by Miami against Citigroup. Miami filed the cases in 2013, while the country was trying to recover from the financial crisis. In the lawsuits, Miami accuses the banks of using predatory lending practices with African-American and Latino customers from 2004 to 2012. Miami said the companies steered those borrowers into higher-cost and riskier loans they often could not afford, even if they had good credit. The city claims that the lending practices led to foreclosures and vacancies in minority neighborhoods, damaging property values and tax revenues. The suit also alleged that the lending practices put a burden on the city to service blighted and unsafe properties. The city sued under the housing law, which prohibits discrimination in housing sale, rental and financing. Other U.S. cities, including Los Angeles and Oakland, have filed similar lawsuits. Lower courts had issued conflicting opinions on whether Miami’s lawsuit should continue. A ruling by the Atlanta-based 11th U.S. Circuit Court of Appeals had permitted Miami’s lawsuits against the banks after they were blocked by a lower court. 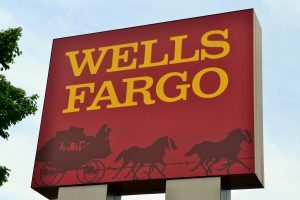 Bank of America and Wells Fargo challenged the appeals court’s decision to permit the suits to go forward. Citigroup decided against pursuing an appeal. Chief Justice John Roberts formed a majority with the Supreme Court’s more liberal justices in a 5-3 vote. The majority opinion, written by Justice Stephen Breyer, states, “We hold that the City’s claimed injuries fall within the zone of interests that the FHA arguably protects. Hence, the City is an ‘aggrieved person’ able to bring suit under the statute.” Breyer also wrote that Miami needed to present more evidence that the injuries it claims to have suffered were tied to alleged violations of the federal Fair Housing Act. Justices Clarence Thomas, Anthony Kennedy, and Samuel Alito were in opposition. In the dissenting opinion, Justice Thomas wrote that other events might have played a role in the injuries the city had suffered and because the homeowners whose houses declined in value are not allowed to sue under the FHA, Miami shouldn’t be able to either. Newly appointed justice Neil Gorsuch wasn’t involved in the case. The ruling was a partial victory for both sides. While the court did not throw out the lawsuit altogether, it only gave the city another chance to make its case before a lower court. The banks also get a second chance to argue why Miami’s claims should be thrown out.